Bali Souvenior Shop Nanamy is an art shop located in Jimbaran, about five minutes drive from Ngurah Rai International Airport. 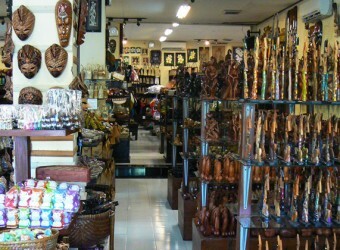 The art shop offers various Bali products, such as wood carving, handicraft, handbag, sandal and many other handicraft products. The products are sold at a fixed price but there are also products not fixed price. Nanamy has another shop in Seminyak.